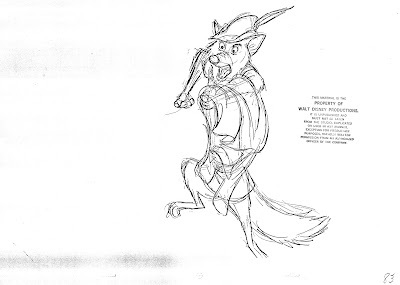 Tony award winning actor Brian Bedford, who provided the voice for Disney's Robin Hood has died. Bedford was a classical Tony award winning actor, who performed on stages in the UK, the US and Canada. 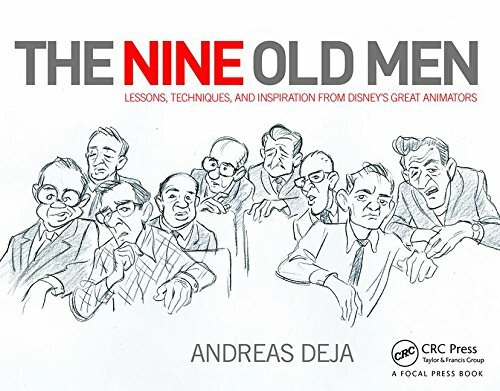 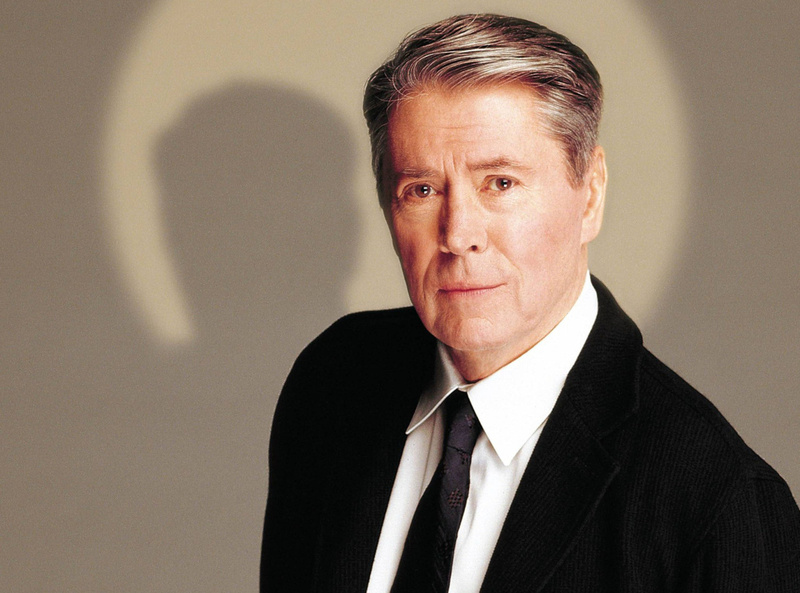 His film roles include The Grand Prix, 1966, and Nixon, 1995. A few years ago, during an interview, he admitted that to audiences he is mostly known for Robin Hood. 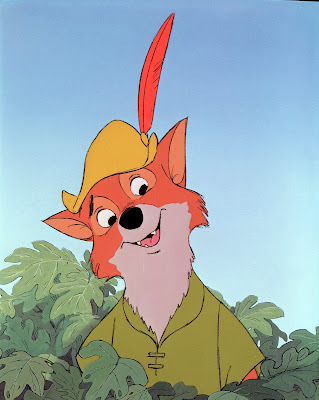 Someone tweeted today about Robin Hood: The only cartoon character many people admit to having a crush on. 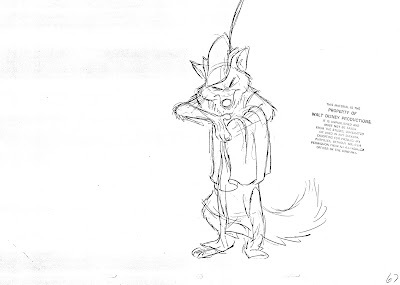 I so wished Milt was still alive to comment on this phenomenon. 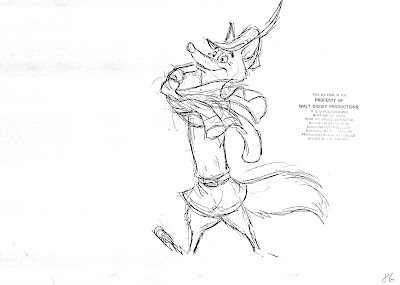 I can hear his boisterous laugh. 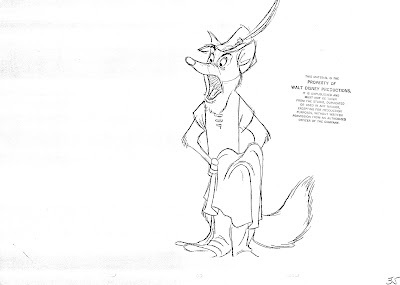 This scene shows an early, long nosed version of the character. 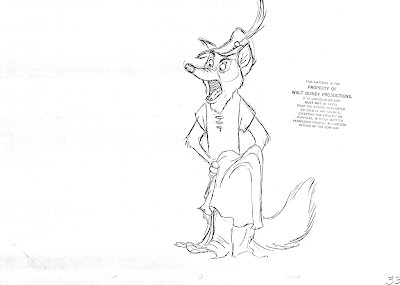 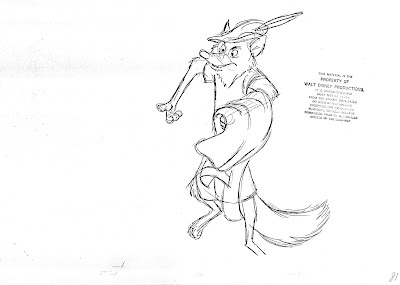 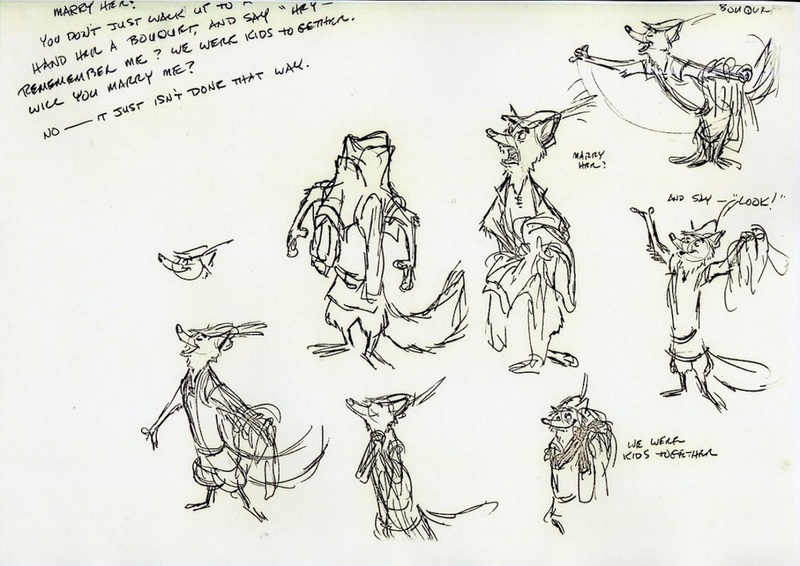 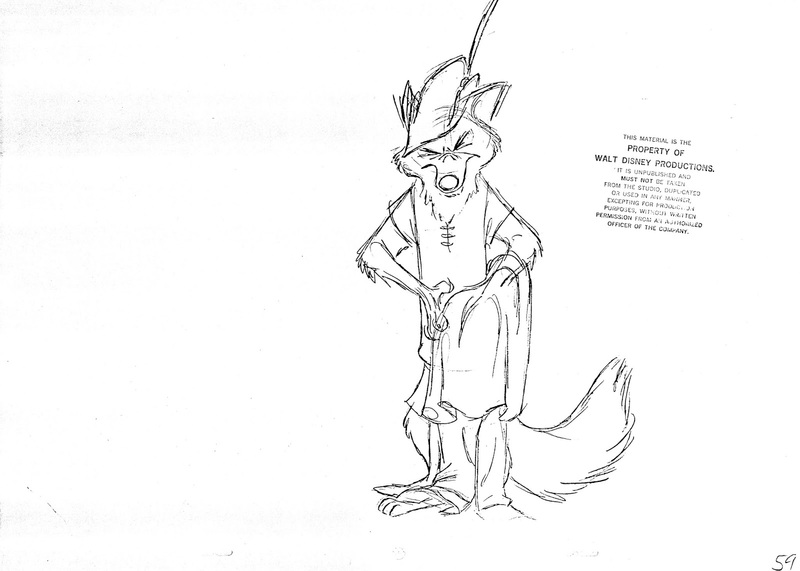 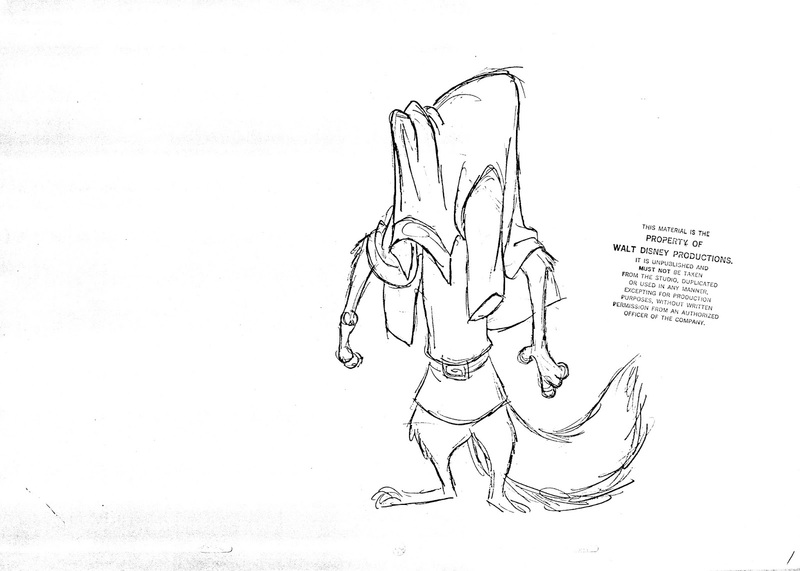 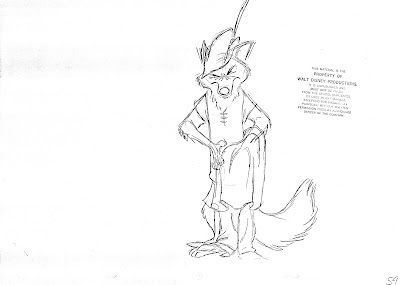 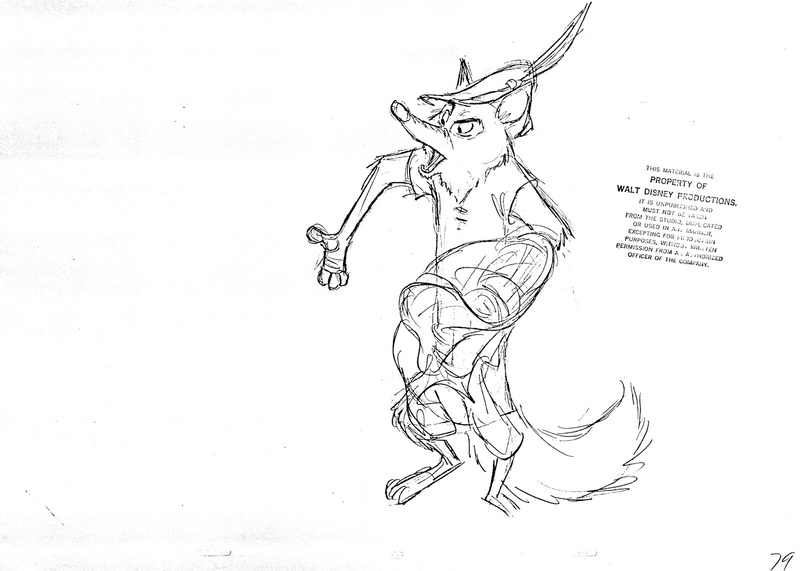 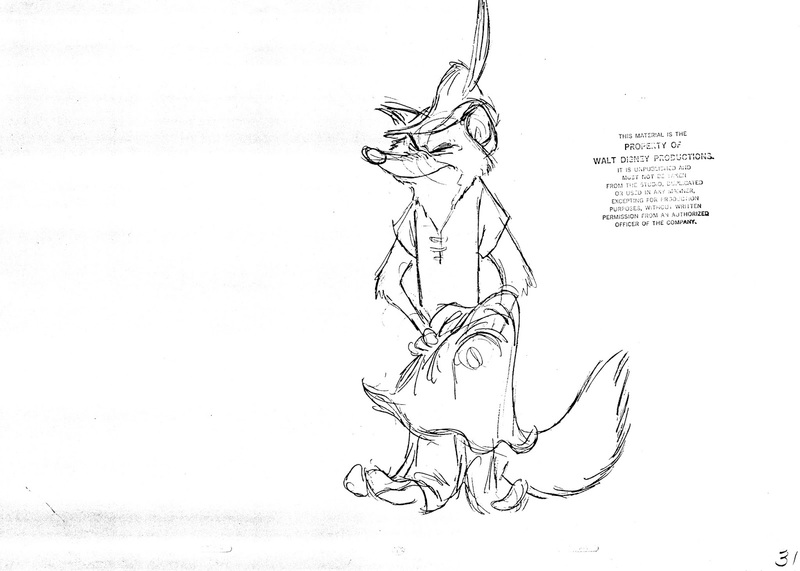 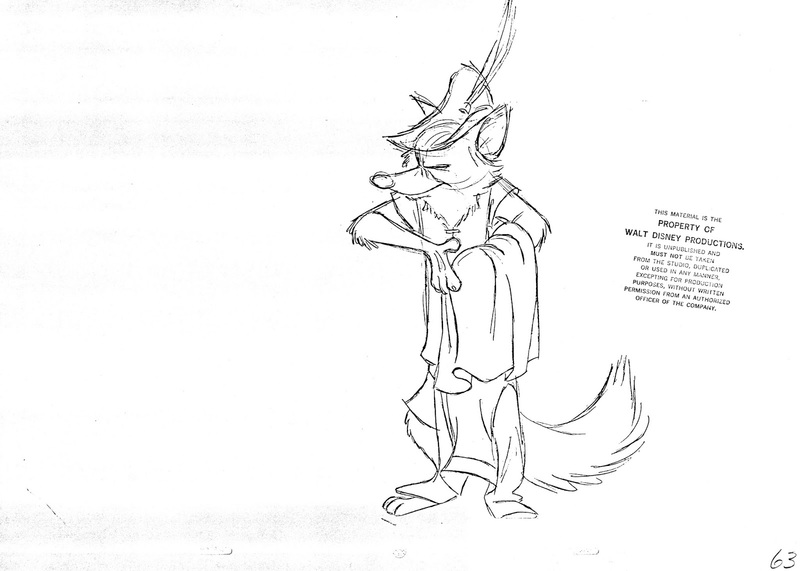 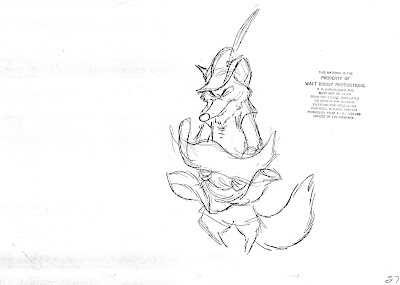 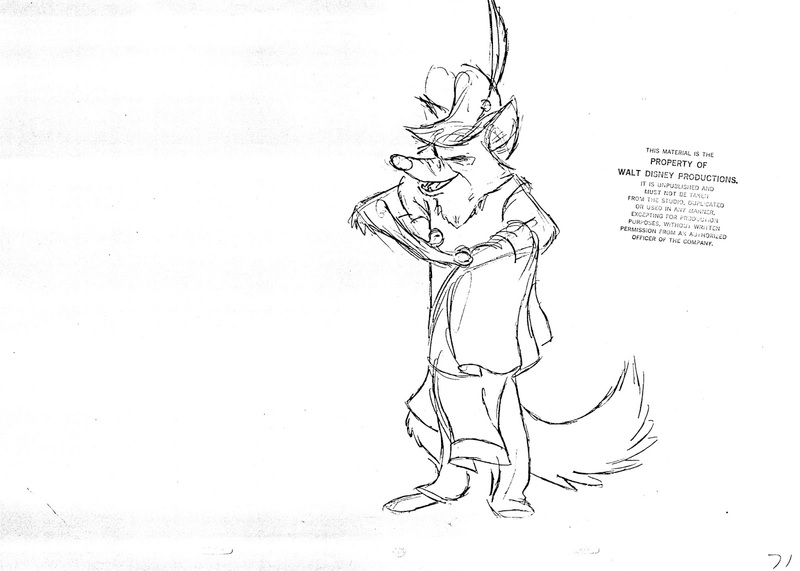 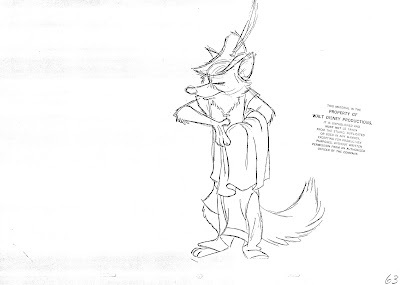 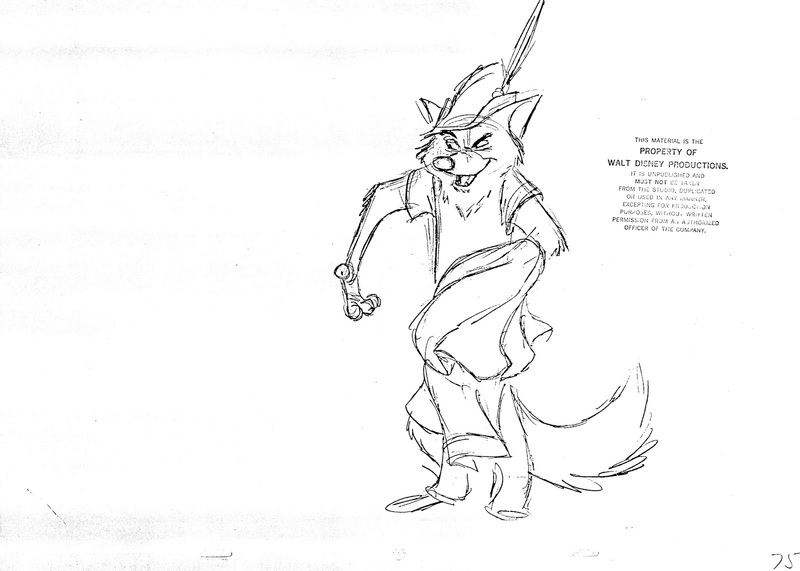 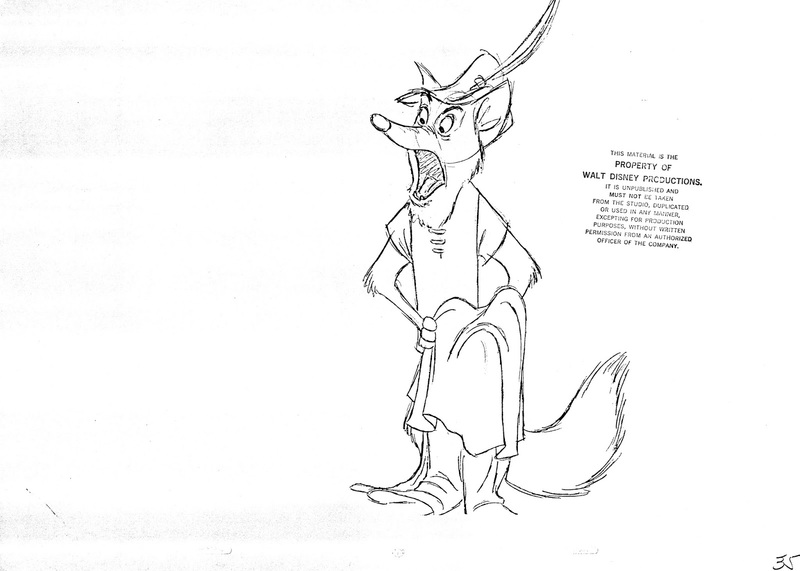 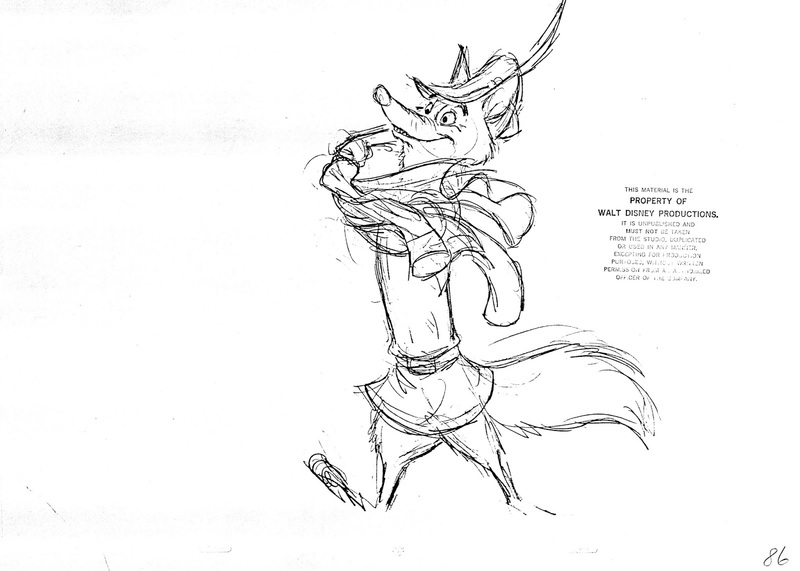 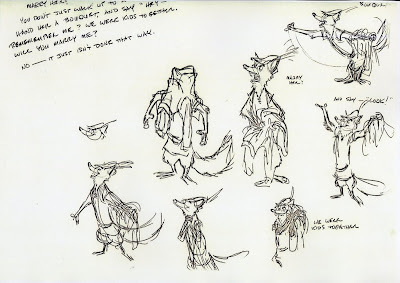 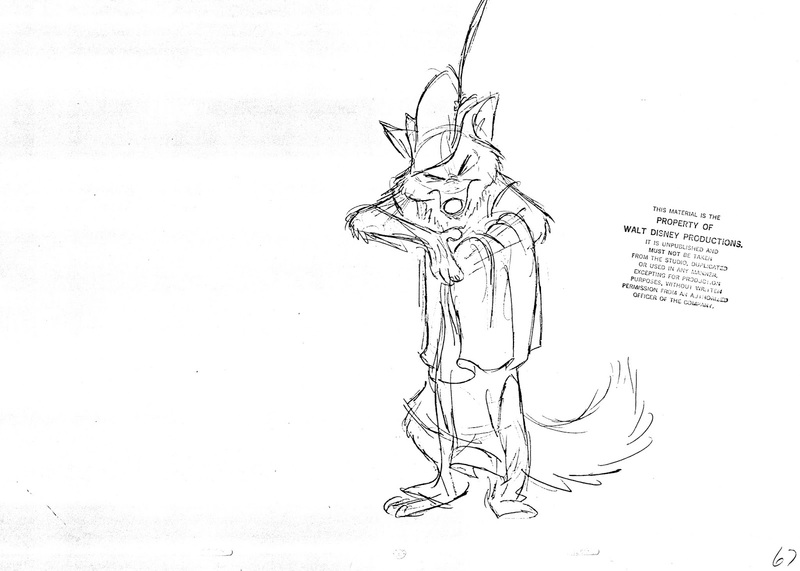 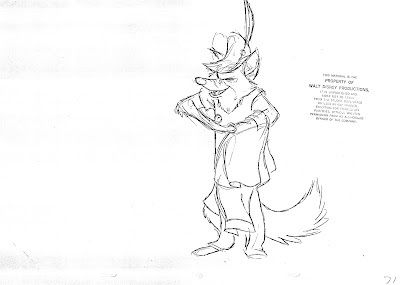 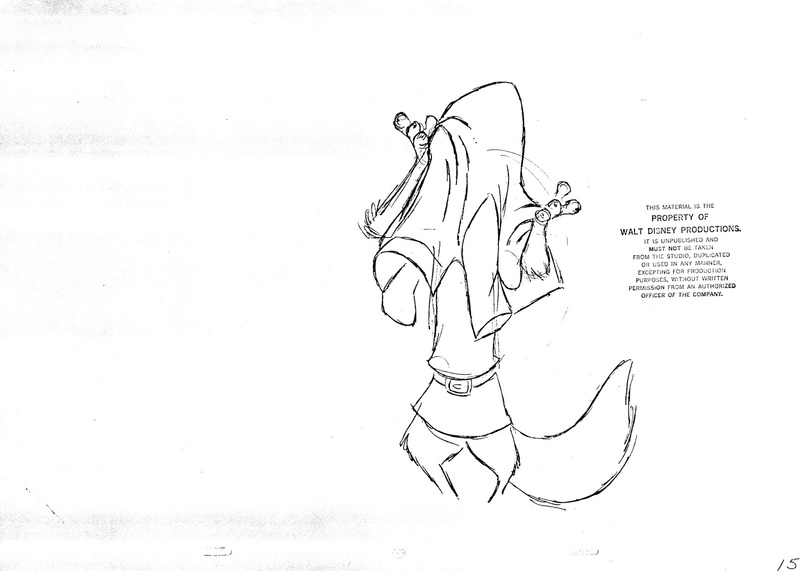 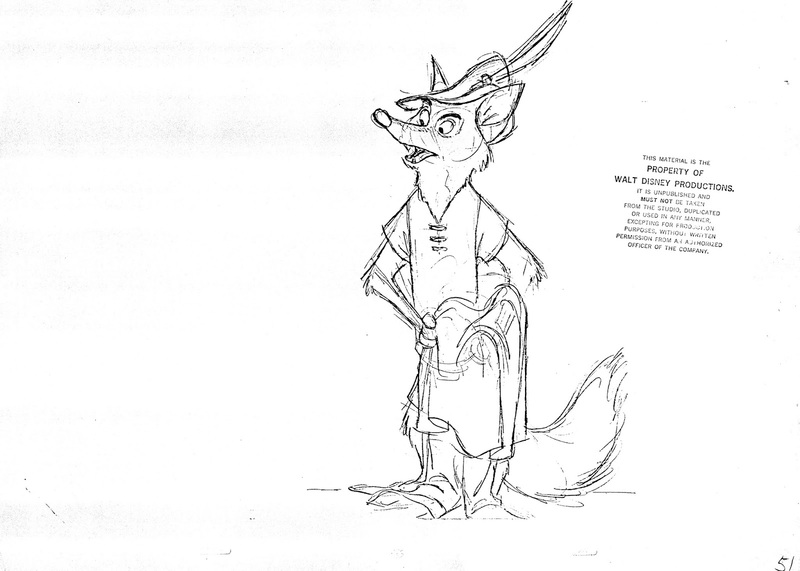 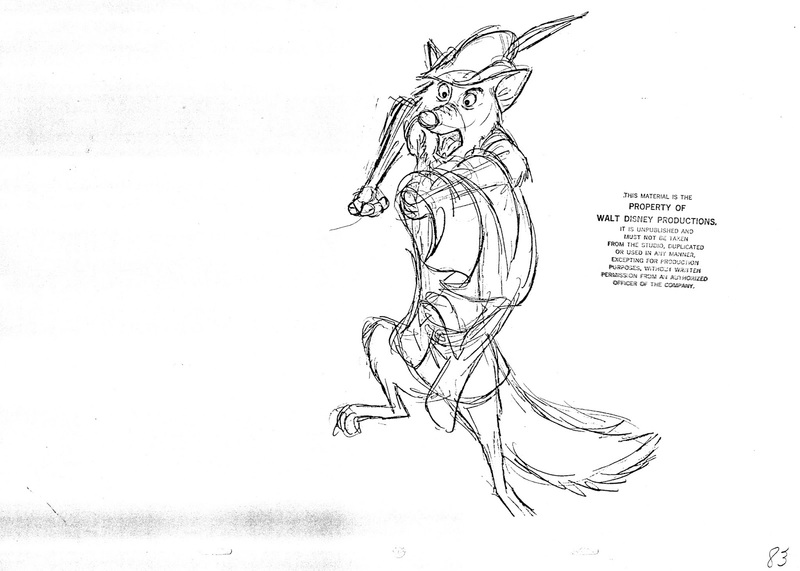 Only a few scenes like this one were re-drawn and altered to represent a shorter nosed fox. 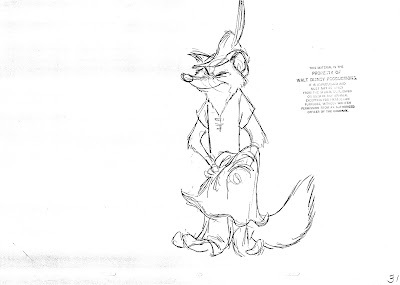 But as usual, Milt's strive for superior graphic design is incredible. The way paws function as hands, the feeling for loose fabric and the ability to draw the head from any angle beautifully. This is part one of a long scene. 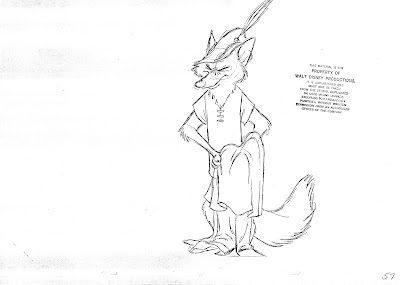 Robin is reacting to a comment from Little John: Why don't you stop moaning and moping around...just marry the girl! 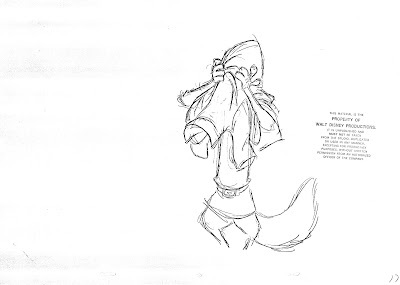 Marry her? You just don't walk up to a girl, hand her a bouquet and say: Hey, remember me, we were kids together, will you marry me? 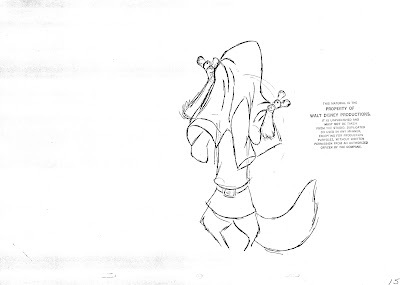 No...it just isn't done that way. 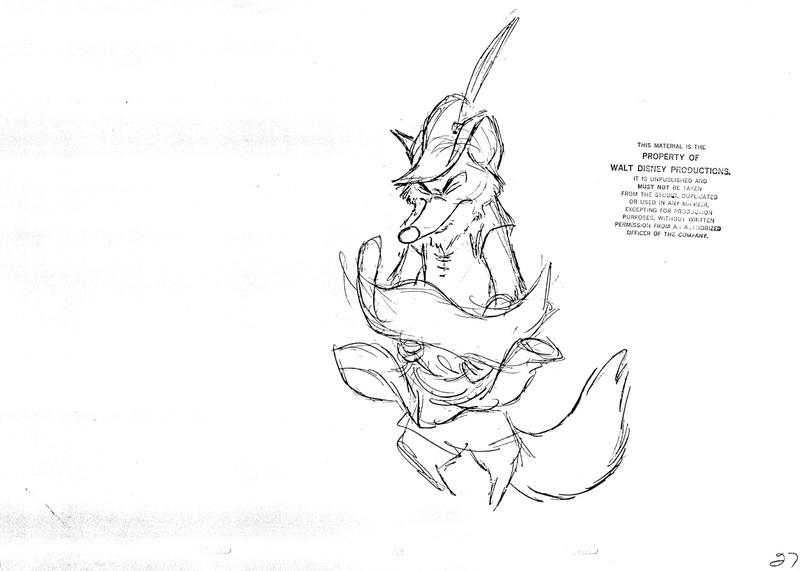 I'll post the rest of the scene if you are interested. 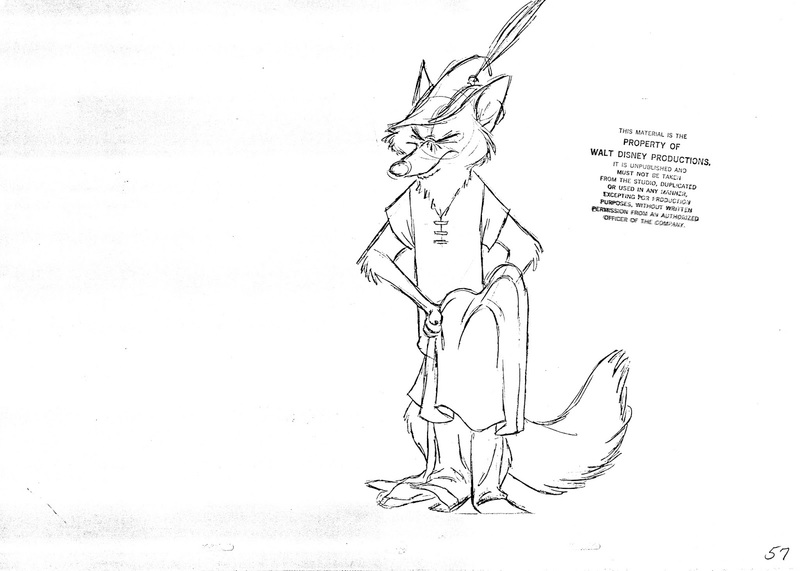 If you'd like to see Milt talk about Robin Hood, go to this previous post, which includes a strange interview.